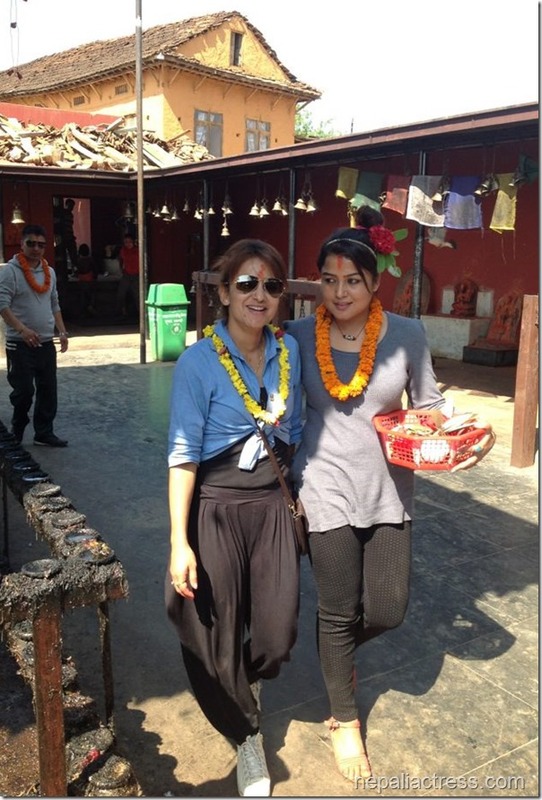 Nepali actresses Rekha Thapa and Jharana Thapa had recently visited Dolkha Charikot to worship in the temple there. Jharan’s producer husband, Sunil Kumar Thapa, journalist Prakash Subedi and his wife were with them. Here are some photos of the actresses. Jharana Thapa and Rekha Thapa (wearing Lali Gurash flower on her hair). 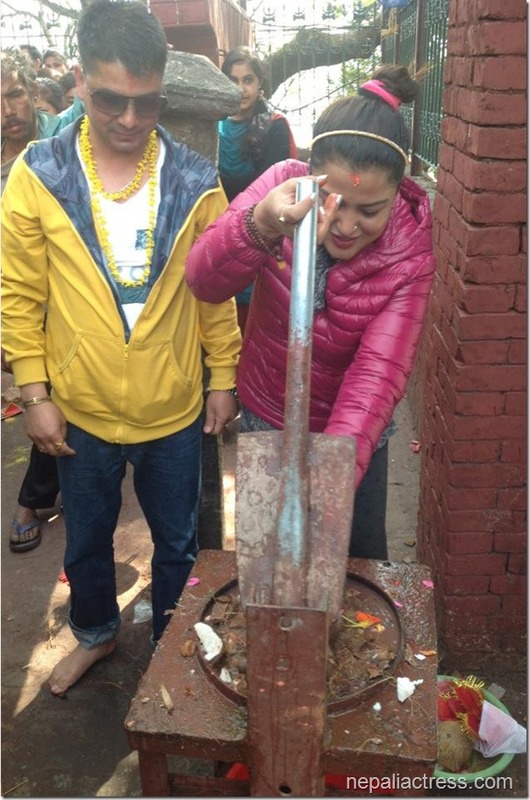 This entry was posted in Gossips, Photo Gallery and tagged Jharana Thapa, Prakash Subedi, Rekha Thapa, Sunil Kumar Thapa, temple. Bookmark the permalink.